We strive to help our clients get the best possible outcome from their case, while providing prompt, fair, and aggressive legal representation. If you are hurt in a car accident, we will push the insurance company to pay the full dollar amount of your damages. If you are accused of a crime, we will do our best to defend you. You deserve to have a qualified, experienced lawyer who actually cares about your case. Call us at (406) 563-3195 for a free consultation! Feel free to call us at (406) 563-3195, or toll free at (888) 888-3315, to make a no obligation appointment. For many types of legal cases, we can do a telephone appointment at client's request. We are second to none in handling your accident or personal injury case. 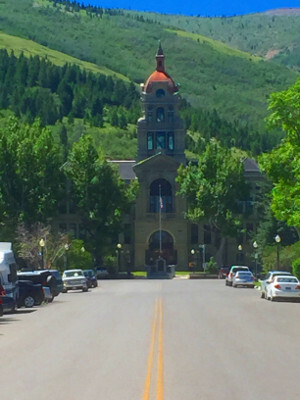 We travel throughout Montana handling accident cases, both large and small. Mike's extensive prosecution experience gives him knowledge few have concerning auto accidents, civil liability, and negligence cases. Insurance companies thrive on dealing with people who don't hire an attorney; have a free consultation with Mike to discuss your claim before it's too late. Mike understands how difficult it is to be arrested for DUI or accused of committing a crime. As your lawyer, he will make sure that your rights are protected, and that you get a fair deal from the criminal justice system. Mike strongly supports economic development. He will help you get your development or business deal completed in the most economical way. Come in and visit Mike and he will explain how probate works, and help you avoid probate altogether whenever possible. You want a good, experienced lawyer working on your estate. 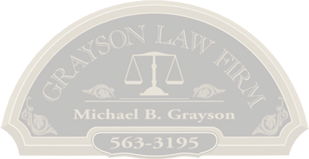 At Grayson Law Firm, we get you results.